Elizabeth Swados. Photo courtesy HBO. 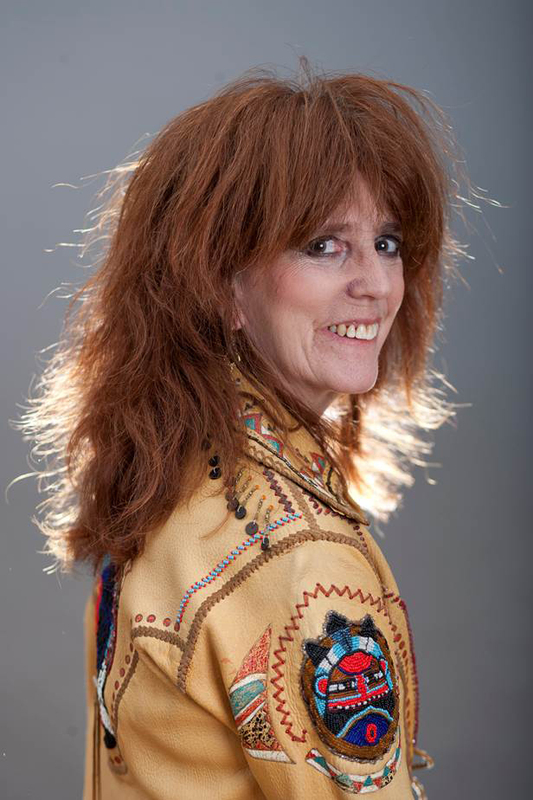 Born in 1951, Elizabeth Swados was a wunderkind, given the range of talents she enjoyed to great success while still in her twenties: composer, performer, music conductor, writer, illustrator. Then regarded as avant-garde, her creative spirit proved to be as natural as life itself, for it was from everyday life–the chatter on a New York City street corner, cars whizzing along a highway, birds chirping–that she extracted her music. She also made innovative use of ancient languages and such found works as Brazilian sambas, poetry, and African folklore. The combination was electrifying. “At one point, I was offered six plays a week for six straight weeks,” she said, reveling in her youthful role as Broadway’s “It” girl”…or so it seemed. A 40-minute celebratory film “collage” made by Linda Feferman and released in 1977 by Phoenix Films, Elizabeth Swados: The Girl with the Incredible Feeling was as inventive and eccentric as its subject. Bits of cabaret performances, recording sessions and rehearsals appeared in snatches throughout the film. Much was made of her travels to Africa, her work with director Peter Brook, and her upbringing (home movies of her parents and Swados as a child were widely used in this film). One of the loveliest and liveliest segments of the film was based on a juvenile picture book, The Girl with the Incredible Feeling (Persea Books), that Swados wrote and illustrated. In the film, the book’s illustrations were animated and the narrative was read with incidental music. It tells the story of a girl who is blessed with a special knack for seeing the unusual and beautiful aspects of daily life. Her gift–personified as a “spirit”–is discovered by a greedy entrepreneur, merchandised, weakened, and almost lost until she realizes her folly and is reunited with it once again. Voices of disapproval and impatience seem to make matters worse in MY DEPRESSION. Photo courtesy of HBO. 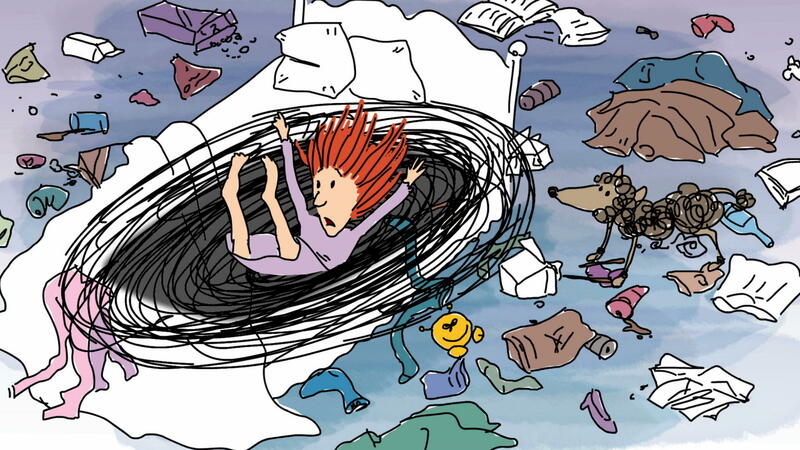 In My Depression, Elizabeth Swados (voiced by actress Sigourney Weaver) follows the trail and accompanying travail of her lifelong struggle with depression, depicted as an ever-present black cloud. The cloud, much like her “incredible feeling” in the earlier film, sticks with her and follows her everywhere she goes; but this time, there is no joy, music, or color to be found in her immediate surroundings. She examines the cloud (of depression) that slowly dampens her relationships with friends, family, colleagues and even her dog, and turns her into a self-loathing, bedridden, reclusive mole. There’s a black hole where a silver lining should be in MY DEPRESSION. Photo courtesy HBO. She reveals the hereditary link to her own depression (her mother was diagnosed with severe clinical depression). And because she experiences just about every symptom that could possibly define depression, many will find this film relatable and, at times, even unsettling. The animated musical interlude entitled “Suicide Mobile” (voiced by actor Steve Buscemi) is especially over-the-top and could upset more fragile viewers. The film, directed and written by Robert Marianetti, David Wachtenheim and Elizabeth Swados, provides a light (albeit not sugar-coated) at the end of the tunnel, via medication and therapy. For Swados, as for most people, these solutions are not foolproof. It took her three years of trying various meds to find “something that really worked.” And the search for a therapist that fit was also littered with false starts, but one worth taking. While I found the tone and style of the animation to be a tad tiresome and cute overall, the animation does work especially well to pinpoint the symptoms of depression and to clarify the frustrating jabberwocky confounding the ideal mix of meds and therapy. 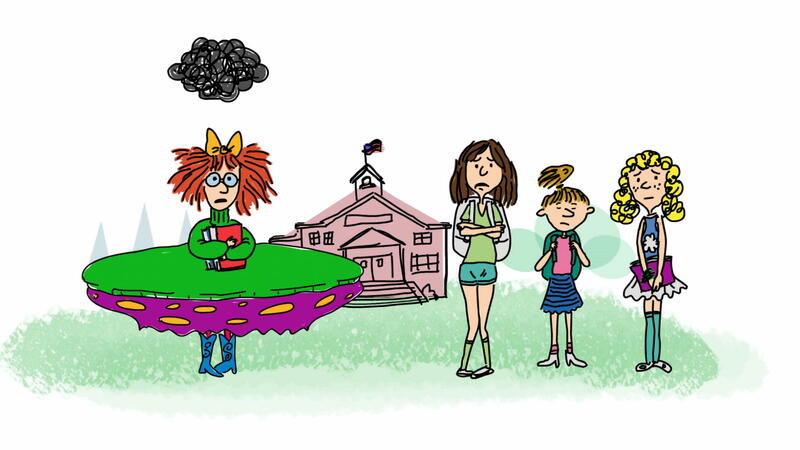 It’s hard to measure up and fit in when there’s a black cloud overhead. From MY DEPRESSION. Photo courtesy HBO. 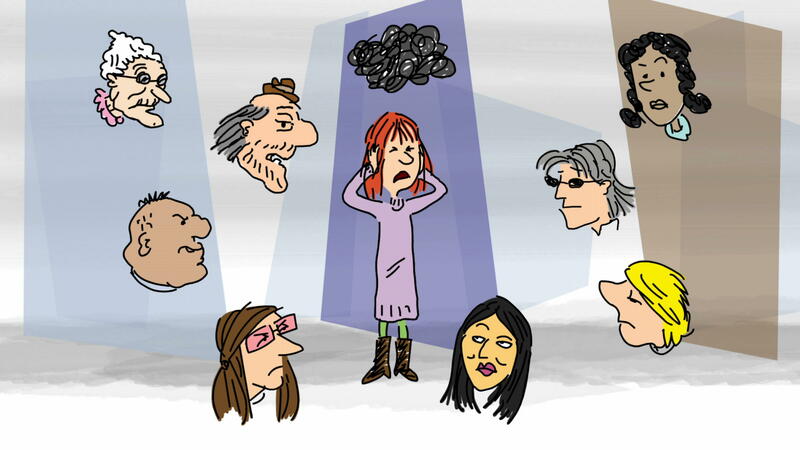 Going forward, My Depression (The Up and Down and Up of It) would best be used with audiences of teenagers and young adults and middle-agers through senior citizens in individual and group therapy settings. With her black cloud under wraps, Elizabeth Swados, the prolific “girl with the incredible feeling,” continues to flourish: She’s found an international audience for her work on stage and in print and garnered five Tony nominations, three Obie Awards and a Guggenheim Fellowship in the process. Young creative artists in a wide variety of fields–from music and art to drama and literature–will find a soul mate in Swados and, women of all ages will find much to relate to here as well. My Depression (The Up and Down and Up of It) debuts on HBO tonight, Monday, July 13, 2015 (9:00-9:30 p.m. ET/PT). Check listings for additional HBO playdates throughout July and August, as well as availability via HBO On Demand and HBO GO. This entry was posted in Books, Cable, Film, Illustration, Music, Theater, Theatre and tagged Children's Books, David Wachtenheim, Depression, Elizabeth Swados, HBO, Linda Feferman, Mental Health, My Depression (The Up and Down and Up of It), Robert Marianetti, Sigourney Weaver, The Girl with the Incredible Feeling, Women's Issues. Bookmark the permalink.